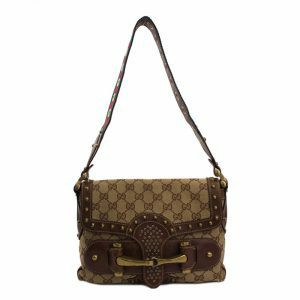 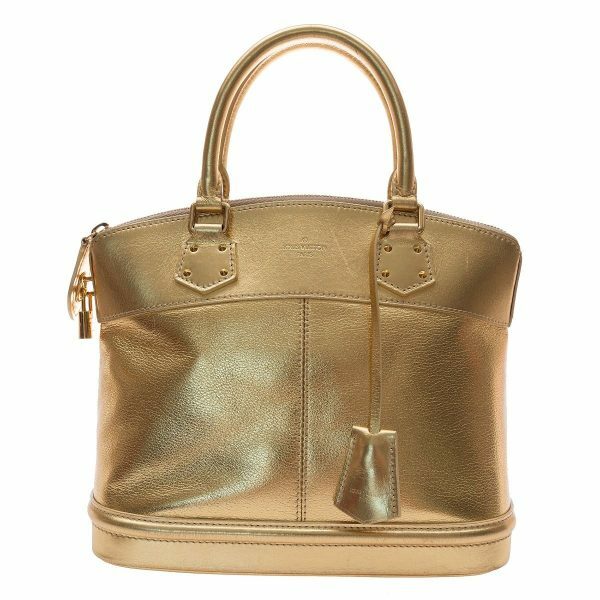 Shopping-apt and 9-to-5 appropriate in equal amounts, this Lockit bag from Louis Vuitton complements every outfit in your closet. 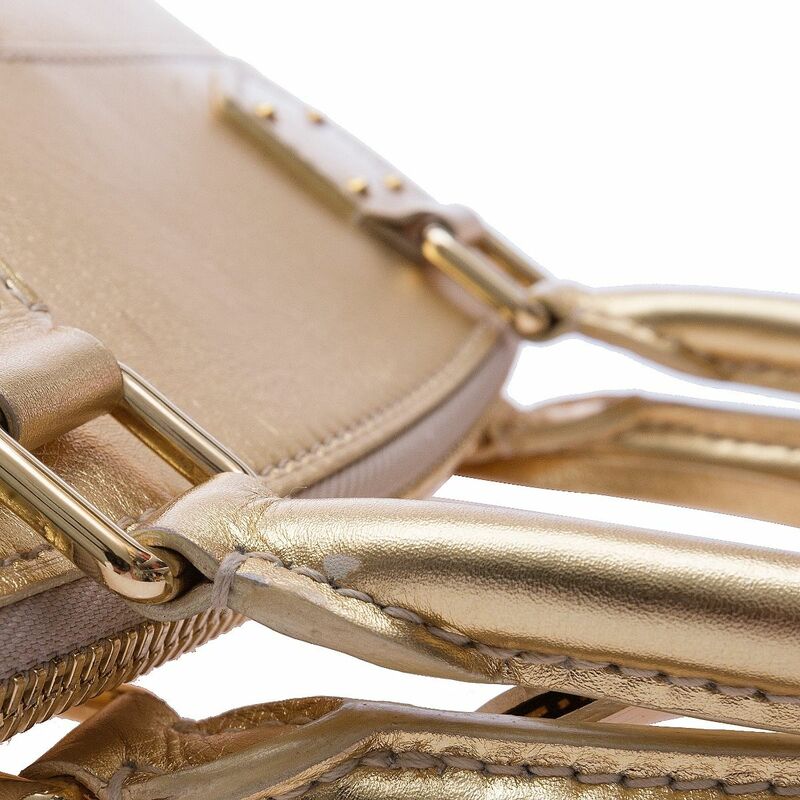 The structured shape of the bag is crafted with leather in a golden hue. 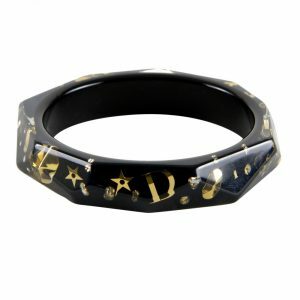 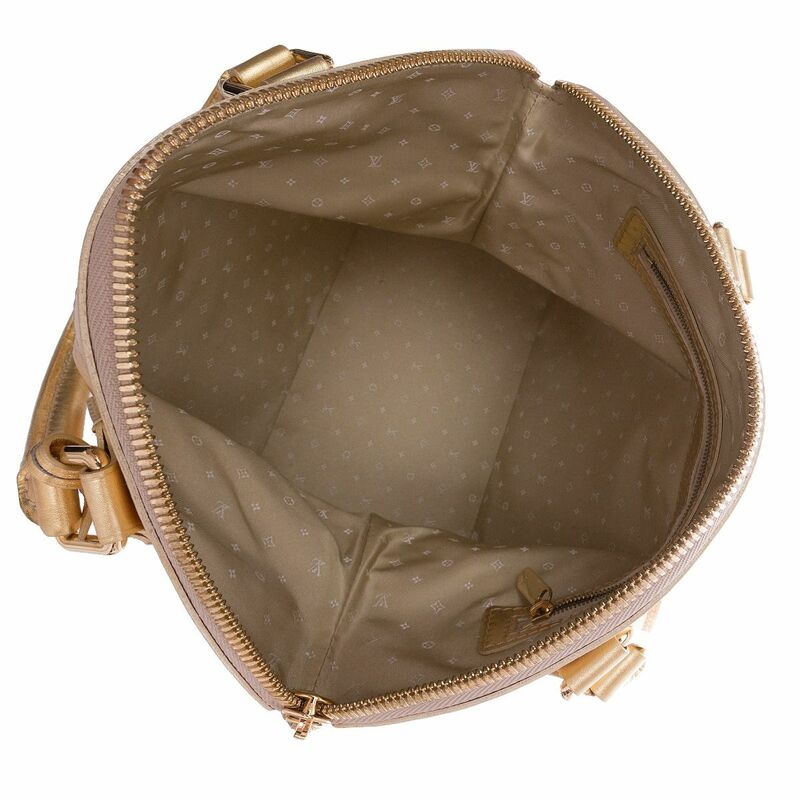 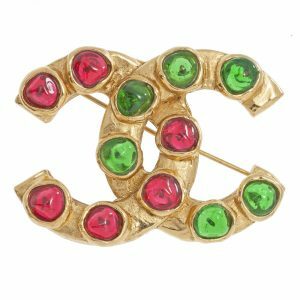 It has a canvas-lined interior with slip pockets and two top handles to hold the piece. 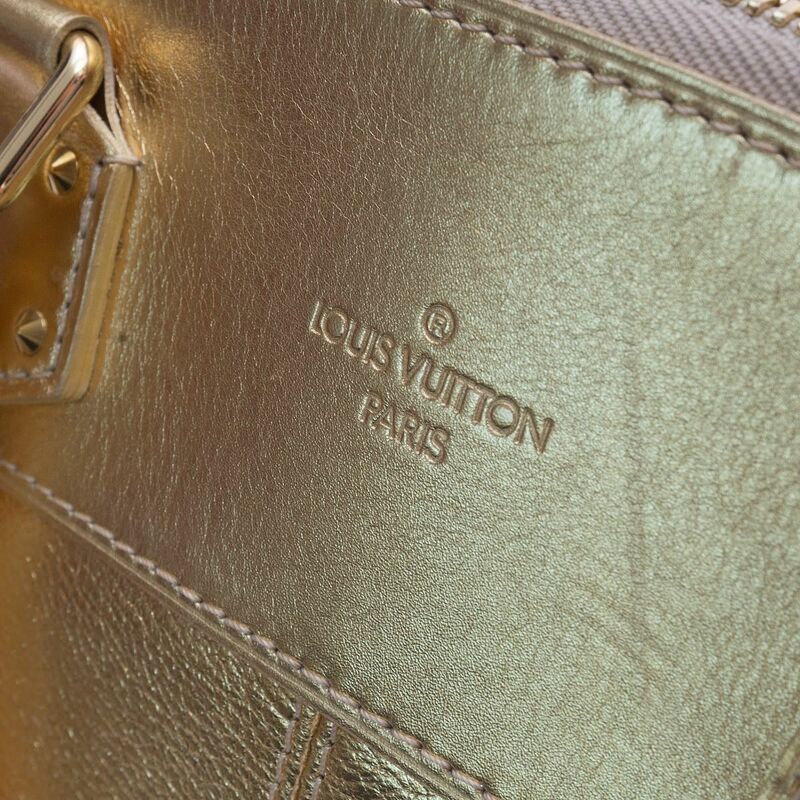 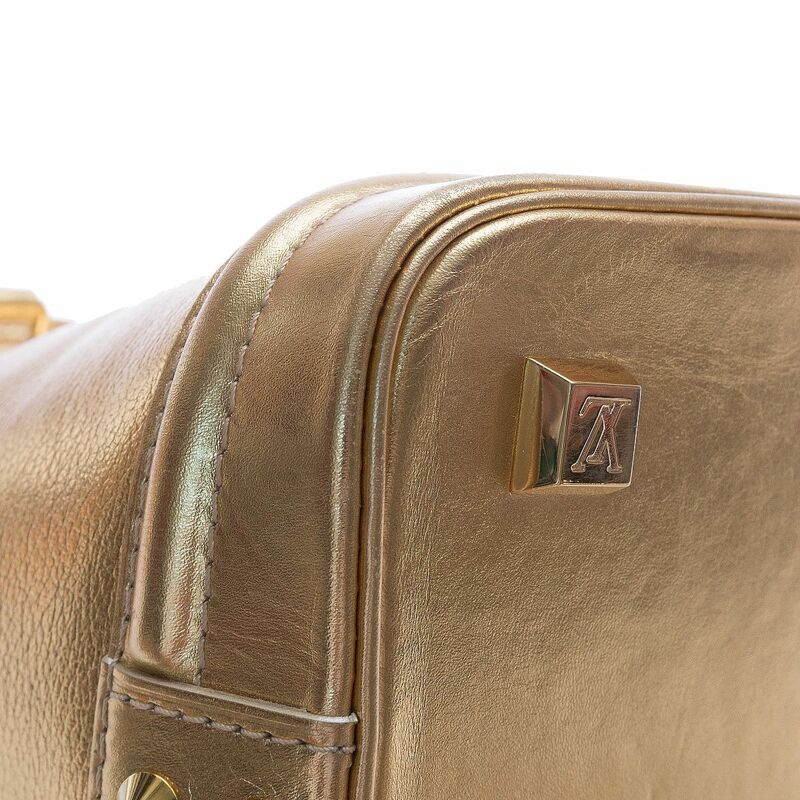 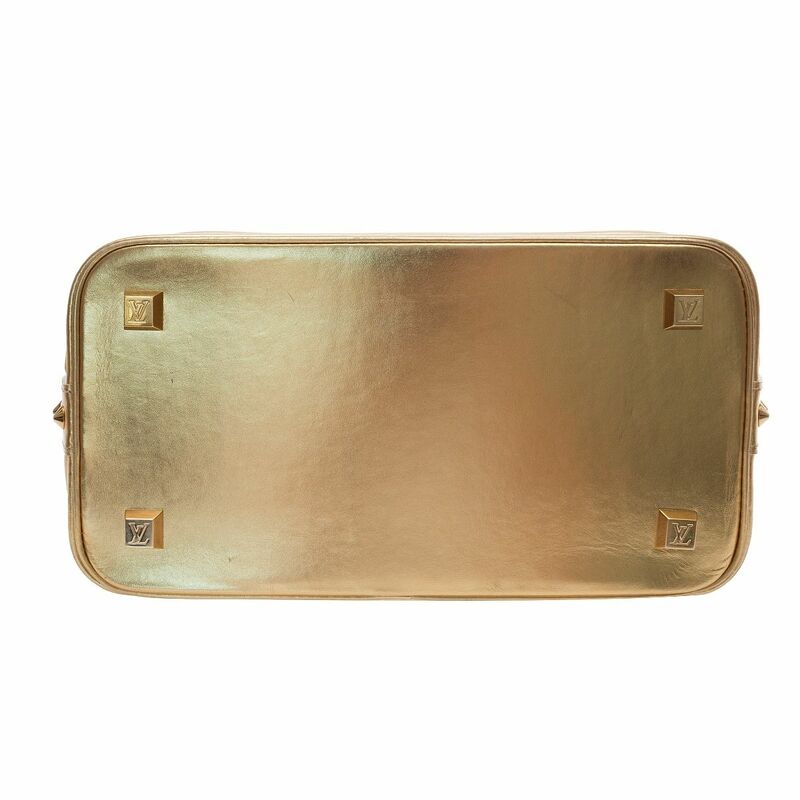 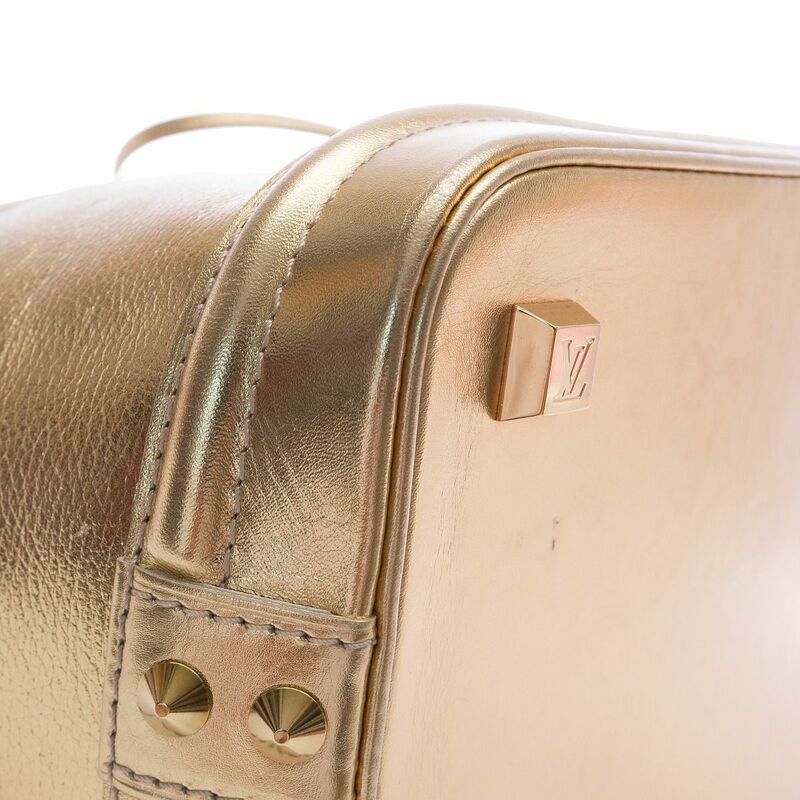 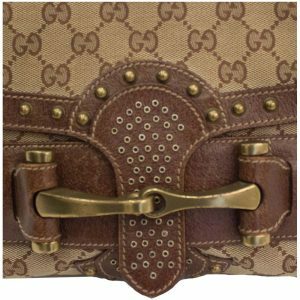 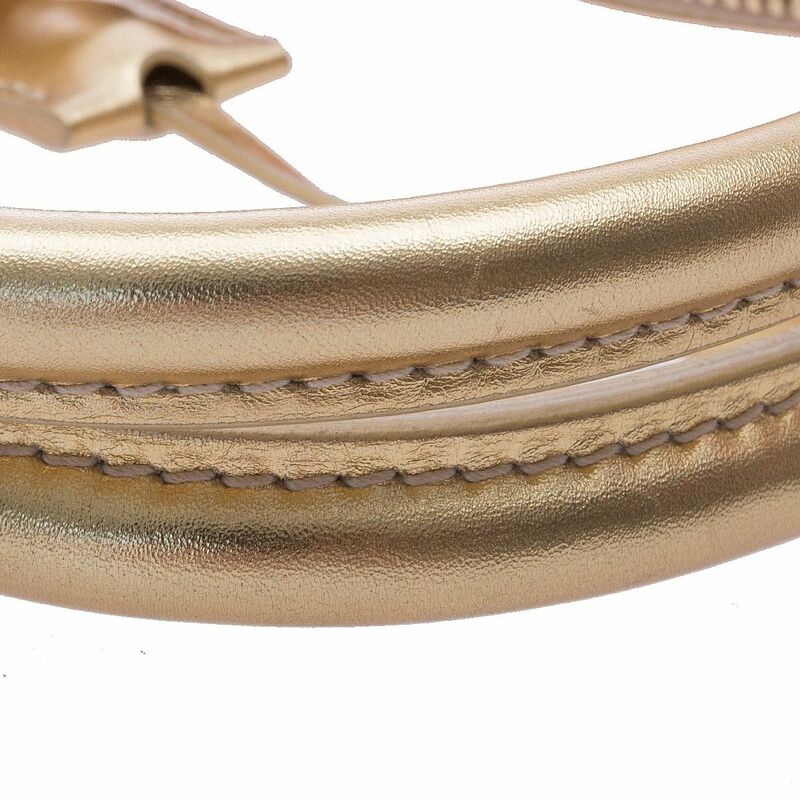 A gold-tone lock features on the side of the bag for the signature appeal.